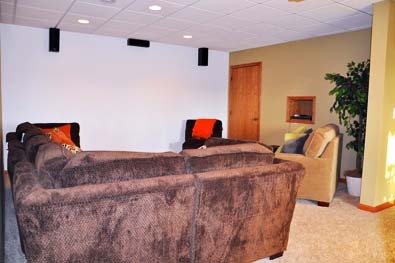 Forest Haven’s media room is another unique feature that makes our retreat so special. Configure the cozy sectional just so or lounge on the day bed. Make this space your own to enjoy a large-screen movie with surround sound. You’ll never want to leave!